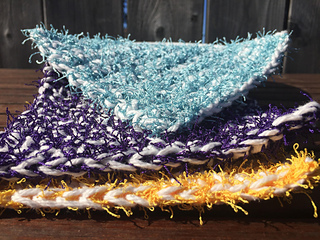 A great scrubby cloth! 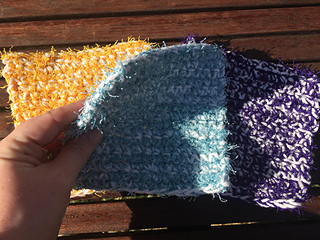 Easy to make, practical and a great cloth for every day cleaning around the house. 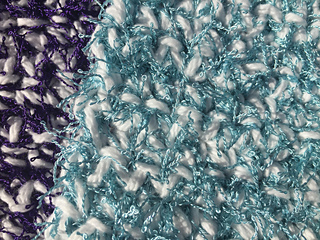 Gauge: 11 Sc x 12 rows (working both Scrubby and cotton together) = 4 inches. Yarn: Approximately 33 yards of Red Heart Scrubby™ (100% polyester; 100g, 85 meters / 92 yards); Medium/ Worsted weight. 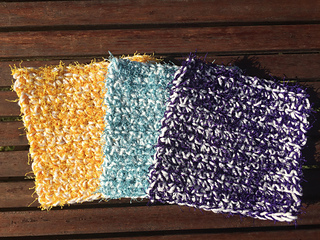 33 yards of Bernat Handicrafter Cotton™ (100% cotton; solids: 50 g / 1.75 oz, 73 meters / 80 yards; 4 - Medium/Worsted weight). Ch 1 at beg of row does not count as sc. Pattern is worked holding one strand of Red Heart Scrubby and one strand of worsted weight cotton together.